Posted on February 4, 2019 at 4:02 pm. Australia’s laws on political donations are under the spotlight after it was revealed Tasmanian Liberals accepted more than $500,000 from gambling lobby groups ahead of last year’s state election. Industry heavyweights sided with the conservatives in a bid to quash Labor’s plans to eradicate pokies machines from clubs and pubs by 2021. 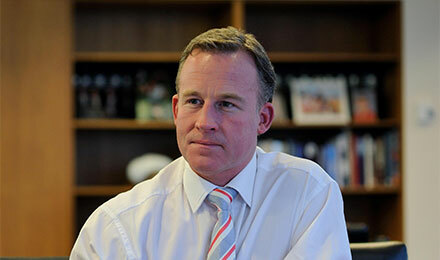 The Liberals were rewarded for an aggressive, multi-platform advertising campaign as Will Hodgman won another term as premier. But only now, 11 months after the March 2018 vote, is the public learning where the money for that campaign came from. Figures released last Friday show a significant discrepancy between the amounts declared by political parties and the amounts actually donated. For example, the Liberals reported $160,000 in funding from the Tasmanian Hospitality Association (THA) when the group itself claimed to have poured in $270,000. This is down to a loophole caused by the $13,500 disclosure threshold for political donations. The THA reeled off a number of $10,000 deposits in the days leading up to the March 2018 election, but the Liberals did not have to declare any of those funds because each individual contribution was under the threshold. This kind of ‘dark money’ – i.e. contributions from sources unknown to the public – made up more than half of the Liberal party’s total funding last year. “It’s another one of these annual reminders we get about how deeply flawed the commonwealth’s donations regime is,” Grattan Institute researcher Danielle Wood told The Guardian. “The fact that we had a very significant flow of money from one particular industry during an election campaign; people suspected it was there, but the voters of Tasmania are only finding out now, more than a year and a half later. The Liberals also received around $244,000 in donations from the Federal Group, ECB Leisure, Jonod and Kalis Hospitality – all businesses with significant gaming interests.